Connecticut State Police announced Jan. 17, 2019, that a commanding officer joined the ranks at the agency's public information office. The Connecticut State Police Public Information Office gained a new commanding officer, according to an announcement Thursday. Sgt. Dwight Washington was transferred to the PIO this week, state police said, joining Trooper First Class Tanya Compagnone and Trooper Josue Dorelus. The public information office gathers and distributes timely information about law enforcement efforts to the public throughout the state. Information disseminated includes serious highway crashes, missing persons and major crimes. Washington graduated from the State Police Training Academy in 1990 and served with Troop A in Southbury, Troop G in Bridgeport and Troop H in Hartford as a patrol trooper. In Hartford, he also served as a patrol sergeant and as an investigator in the Computer Crimes Unit. He also served on the Statewide Narcotics Task Force and the Casino Unit. State police said he earned medals for bravery, meritorious service and outstanding service. He also received unit citation awards. Washington has a Bachelor’s degree from Central Connecticut State University and Master’s degree from Marist College in Master of Public Administration. He’s a retired officer from the Amry National Guard. Before joining the PIO family, Washington was assigned to the Governor’s Security Unit for the past eight years. Compagnone entered the State Police Training Academy in April 2000. She served as a patrol trooper at Troop C in Tolland, followed by 10 years as a detective with Eastern District Major Crime. Most recently, Compagnone served with Central District Major Crime in the Missing Persons Unit for six years. She has an undergraduate degree from the University of Massachusetts and a Master’s degree from American International College. As a trooper, Compagnone earned two outstanding service medals and two unit citation awards. Dorelus graduated from the State Police Training Academy in Dec. 2014. He was assigned to Troop I in Bethany until June 2018 when he transferred tot he PIO. He has a medal for meritorious service and a unit citation award from the agency. He has a Bachelor’s degree from Southern Connecticut State University. 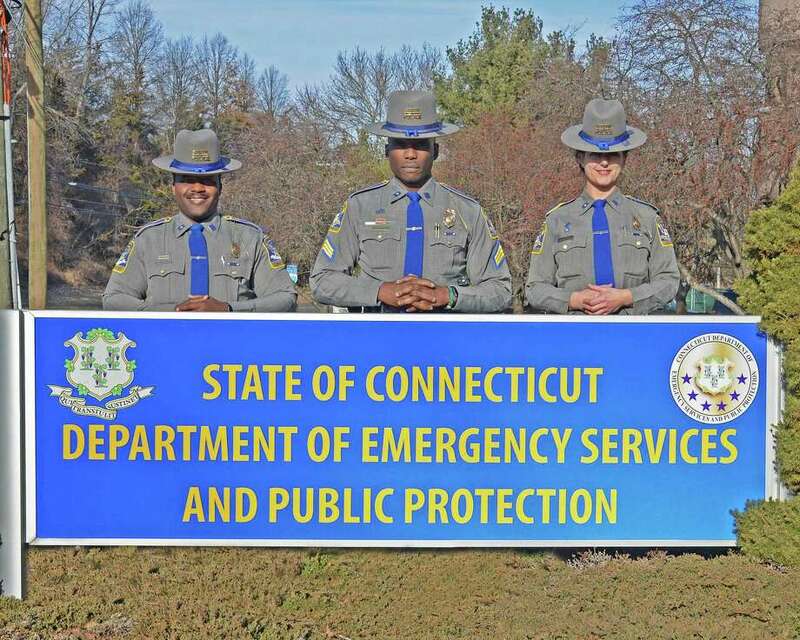 “The PIO office of the Connecticut State Police is committed to ensuring that the public is aware of our activities, our services and our presence,” state police said.